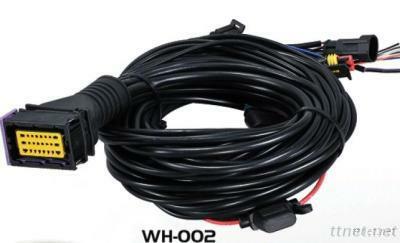 We are The leading manufacturer and exporter of wire harness in Zhejiang province, China. We produce quality products, supported by quality services and own strong R&D team for developing. Please Email us for more details. 1. 7 years experience of automobile wire harness assembly.Provide expert assistance with your wire harness or assembly design. 2. Alternate materials are available to meet your demand of saving the costs. 3. Can reverse engineer the design according your working sample. 4. Passed ISO/TS 16949:2002 quality management system. All the products are 100% electric tested before delivery. 5. OEM and ODM orders are welcome. Special Notes to Buyers: Please be caution on the pictures you see on Internet. E-joy here states that any picture here is original, not from other suppliers.